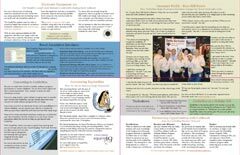 These samples of printed full color newsletter designs show a variety of design approaches with standard sizes and folding options used for newsletter printing and marketing. 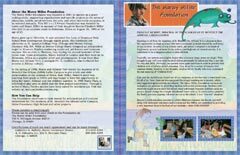 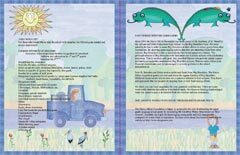 Newsletters can be a self mailer with a half fold, tri fold or quarter fold or inserted into envelopes flat or folded. 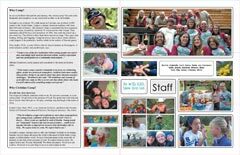 Get some inspiration and ideas for designing your own newsletter for your company or organization. 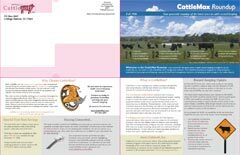 Get some ideas for using full color throughout from these most common newsletter size examples. 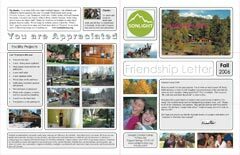 A variety of color elements and photos can really improve the visual presentation of your information and creates a lot more professional impression than the commonly used black text. 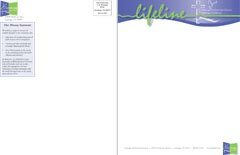 A good way to lower the cost of newsletters is to print several issues worth of blanks together and then print the black text on your laser or inkjet printer or at your local quick printer. 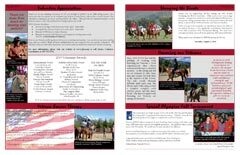 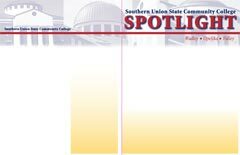 A total of six full pages of information makes this 11 x 25" 3 panel format great for larger multipage newsletters where there is more content than fits on 4 pages. 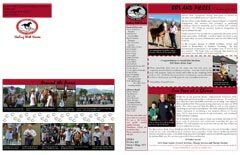 Need a custom newsletter format or size?